The Art of Dining, one of London's most creative pop-ups, is back. Their April and May 2017 season (it can get very theatrical) is all about a trp to Mars, set in 1065. 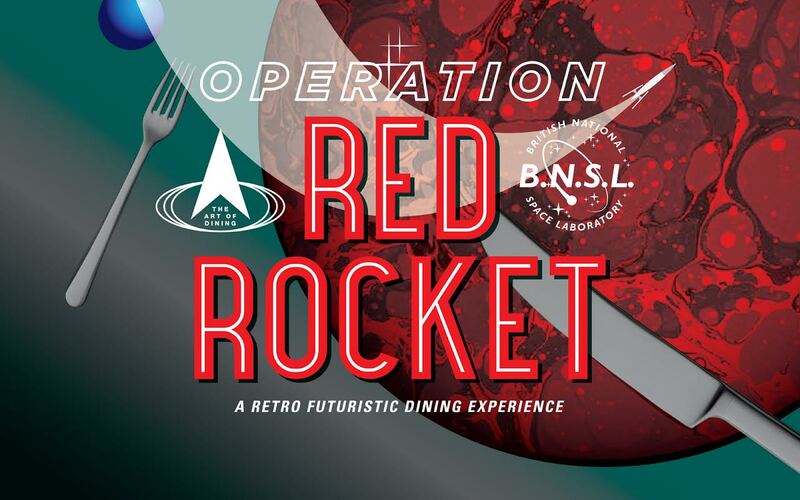 Tckets are £55, and for this expect thoroughly immersive experience, including a British version of NASA, lots of futuristic food, a bit of role-play and dressing up, and lots of fun! "The year is 1965. The race to the moon has been won and now the members of the international space community are recruiting astronauts to form the first colony on Mars. The USA, Russia, India and China have each chosen a brave adventurer for this incredible quest, but the little known British National Space Laboratory have yet to make their choice. This, courageous diners, is where you come in."